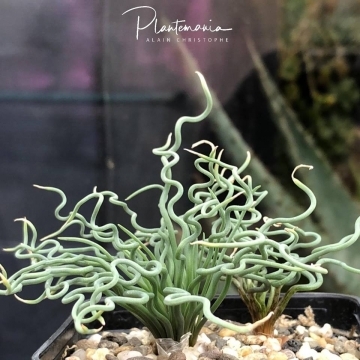 Truly one of the most curious African geophyte species with characteristically coiled leaves flowering in autumn or winter. Origin and Habitat: Bulbine torta is endemic to the Roggeveld and Matsikamma Mountains (Northern and Western Cape), South Africa. It is a habitat specialist known from five subpopulations. Altitude range: 230-1000 metres above sea level. Habitat and Ecology: Fynbos, Succulent Karoo. 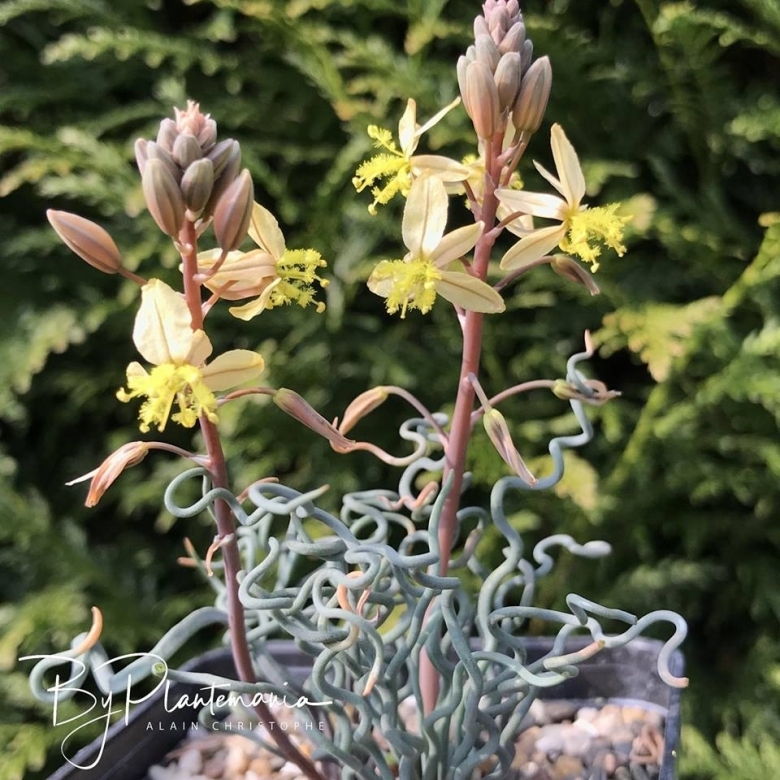 Bulbine torta grows on dry, shallow pans on sandstone slabs together with the handsome Conophytum ursprungianum (a form of Conophytum obcordellum). 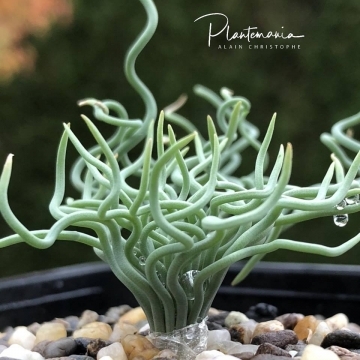 This geophytic, bulb-like plant actually persists during the dry summer season as thick, fleshy, fusiform roots that are barely covered by the thin soils and mosses among which it grows. 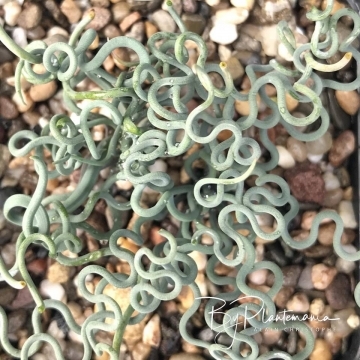 The tuft of coiled, slender leaves may serve as a fog-collection mechanism like the spiraled leaves of a number of other South African bulbs. There are no known threats to this species. 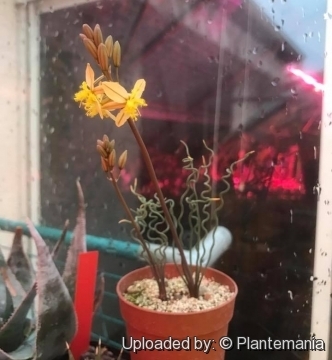 Description: Bulbine torta is small geophytic, bulb-like plant, 8-25 cm tall, from a tuberous rootstock. 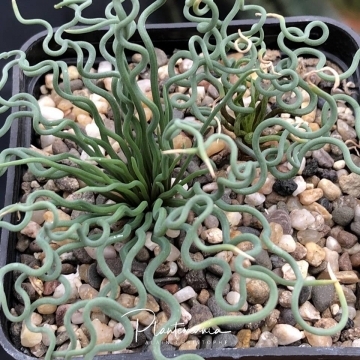 During the winter growing season it produces a tuft of coiled, slender leaves. The flowers held in a lax or dense raceme, are yellow to light orange, with reflexed tepals and fluffy yellow stamens. Flowers: The flowers are typical of the genus, are yellow to light orange, with reflexed tepals and with large bearded stamens that give the allusion to pollinators that there is more pollen present than there really is. Blooming season: Winter (In the wild it blooms July-Sept.). 4) Goldblatt, P. and Manning, J.C. “Cape Plants: A conspectus of the Cape Flora of South Africa.” Strelitzia 9. National Botanical Institute, Cape Town. 2000. 5) Raimondo, D., von Staden, L., Foden, W., Victor, J.E., Helme, N.A., Turner, R.C., Kamundi, D.A. and Manyama, P.A. “Red List of South African Plants.” Strelitzia 25. South African National Biodiversity Institute, Pretoria. 2009. 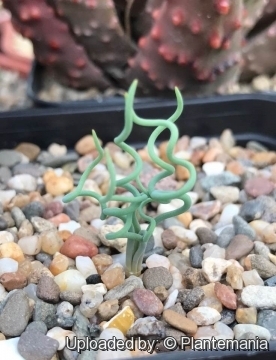 Cultivation and Propagation: Therefore, this plant should tolerate subfreezing temperatures and should at least be root-hardy to near -18° C.
Propagation: It is a curious plant; germination is easily achieved on a sandy, cactus seedling mix's surface.